Roughly 508 million years ago, this bristly worm roamed the waters of what is now British Columbia. Now, the newly identified species of ancient worm is helping researchers unravel an ancient mystery. Meet Kootenayscolex barbarensis, a new species of bristle worm. It worm belongs to a richly diverse group of animals called annelids that use their bristles to move around. 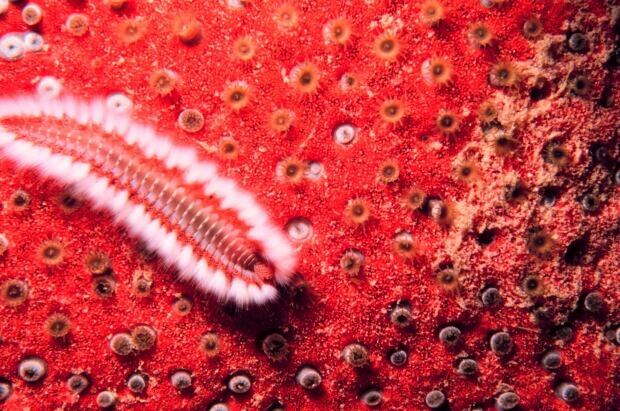 Today, the group contains leeches and earthworms, but also some of the most beautiful marine worms, like the orange fireworm found in coral reefs and around hydrothermal vents in oceans around the world. Kootenayscolex is more than just a pretty face, but it’s the face these paleontologists are most interested in. While these ancient annelids have been known for some time, how they developed their mouths has remained somewhat of a mystery to paleontologists. But Kootenayscolex has helped them unravel that mystery. In the past, when these annelids were found, they weren’t necessarily found intact. Because of this, the head hasn’t been well understood. However, due to how well these fossils were preserved — some 500 of them — this allowed them to see detail that had never been seen before. For one, it has two, long tentacles at the front of its head, and between them, an antenna, likely used as a sensory tool. 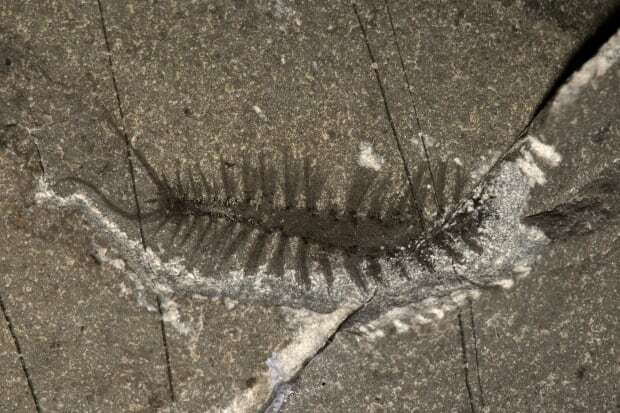 The finding surprised them: while these are present in modern annelids, they hadn’t been found in previously described annelids from the Cambrian Period, between 541 to 485 million years ago. As well, the researchers found bristles extending from its head, something that has never been seen. Today, these bristles — that jut out from a shoulder-like appendage call parapodia — are found only on the bodies of these worms. Kootenayscolex is tiny, with the largest found so far measuring roughly 2.5 centimetres. And the bristles were so fine that Nanglu said he had a hard time counting them all. The only way he could get a reasonable count was by using an electron microscope. 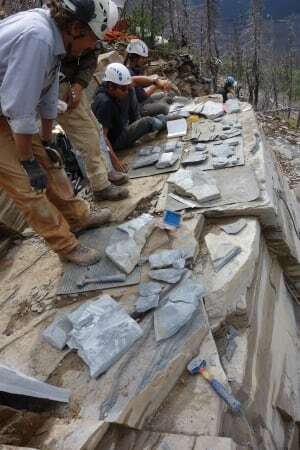 Paleontologists found roughly 500 of these worms in the 508-million-year-old fossil site in Marble Canyon, part of the Burgess Shale in Kootenay National Park, B.C. It’s a rich region discovered in 2012 by Jean-Bernard Caron, senior curator of invertebrate paleontology at the Royal Ontario Museum in Toronto, who is also a co-author of the paper. “While isolated pieces of annelid jaws and some annelid tubes are well known in the fossil record, preservation of their soft tissues is exceedingly rare,” Caron said. Nanglu is excited to have uncovered so many new features to such a poorly understood group of animals. “What I thought was a relatively simple animal … turned out to be really complicated,” he said.